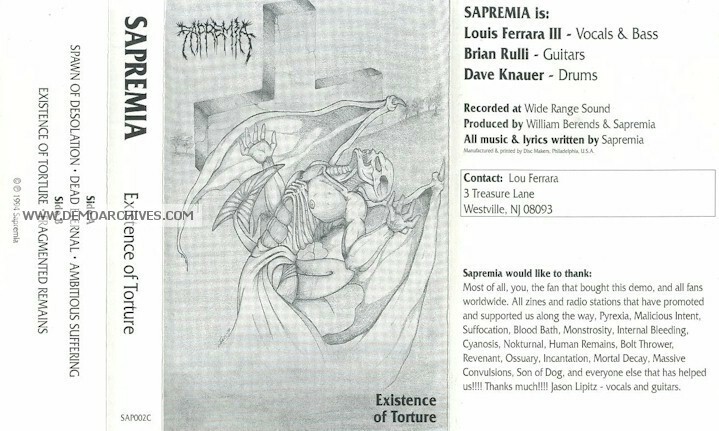 Sapremia was one of the premier Death Metal acts in the early 1990's, hailing from Southern New Jersey, USA. Touring took us around the United States and our two releases reached the ends of the globe. 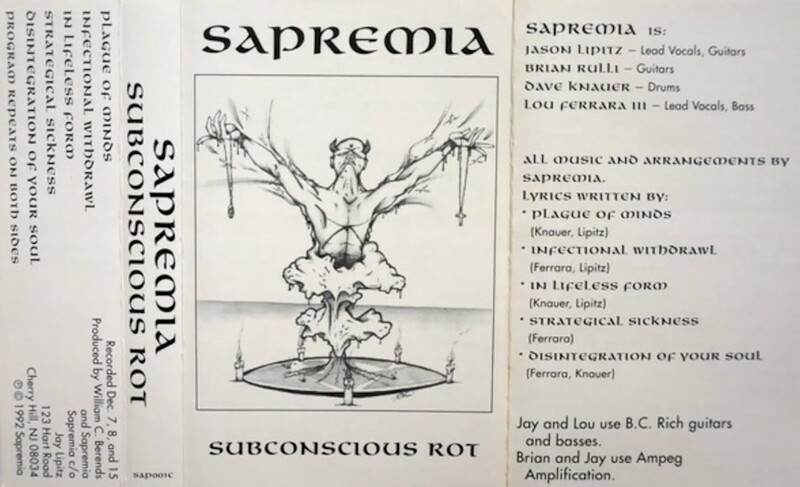 Recorded two demo releases "Subconscious Rot" in 1992 and "Existence of Torture" in 1994. 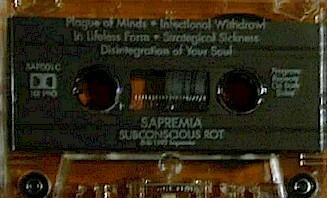 Pro-printed two-sided cover with lyrics. 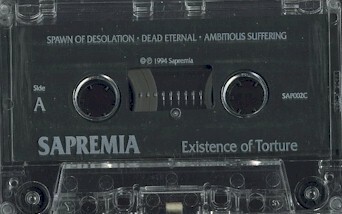 Pro-printed cassette.